The corpse of a company that made some of the biggest, gas-guzzling vehicles consumers could buy will now be used as a breeding ground for energy-efficient technologies, thanks to a little help from the U.S. government. The grant is part of a $2.4 billion program designed to help America ditch its clunkers and manufacture its own hybrid vehicles. Christchurch is a great central departure point for sight-seeing around New Zealand's South Island. Heading south, you can take in the cities of Timaru and Oamaru or head to ski fields at Mt Hutt near Methven. The Methven pubs -- known as the Brown Pub and the Blue Pub -- are a great stop-off. If you fancy travelling further, head through central Otago (wine country!) to Queenstown or the main centre of Dunedin -- in fact you can get pretty much anywhere in the South Island with less than a day's travelling from Christchurch (you might have to get up pretty early to get to Bluff, south of Invercargill, though). It's also easy to get to the wild and woolly West Coast of the South Island or travel north to Nelson and Marlborough (more wine country!). Check the weather conditions if you're heading through any of the Southern Alps passes - Lindis Pass, Lewis Pass, Arthur's Pass, Haast Pass -- some of these roads can be quite snowbound in the colder months. After years of negotiating over whether or not to have a Hilton Hotel on the waterfront in Wellington, New Zealand, the Wellington City Council is being asked to support a very different plan for the site -- a temporary campervan park. According to the story, published on Scoop.co.nz, the idea has been put forward in a draft waterfront development plan for the next12 months, and councillors will be asked to approve it this week. The story says that the council’s plans to have big new buildings on the waterfront are on hold because of “prevailing economic conditions which have resulted in much reduced tenant demand.” So the council-owned waterfront company has come up with the idea of a temporary campervan park on publicly-owned land that the council wants the hotel to occupy. 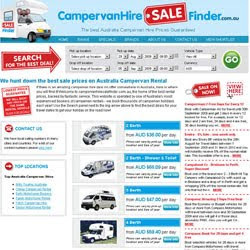 CampervanHireSaleFinder.com.au, a new site from iMall Brands, launched this week. CampervanHireSaleFinder.com.au is where Australia campervan suppliers present you with their best specials and sale prices. This site is operated by one of Australia's, and the world's largest bookers of rental motorhomes, iMall Motorhomes. From the website: "Strong buying power ensures we access all the best sale prices and packages on campervan hire - many of which are not available elsewhere." Lowest Price Guarantee - We won't be beaten on price. So in the unlikely event you find a better price for the same vehicle on another website, tell us and we'll beat the price. Not only that - we'll give you an extra $25 AUD discount for your effort! Find Every Major Australian Motorhome Supplier under the sun - and several smaller local suppliers you wouldn't find elsewhere. 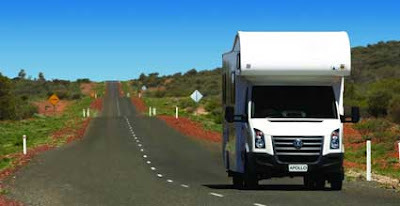 You won't find a larger selection of Australian Motorhome Companies on one site. Not only that, but our bulk buying power gives you incredible discounts with these brands. Advanced Features: No more sifting through pages and pages of listings online. Filter your campervan search results in seconds with options with many useful options. Filter by price range, berths, people travelling, specifications, and age of vehicle. You can save the vehicles to a short list and compare them. Can can also book in a variety of currencies such AUD, NZD, CAD, EUR, USD or GBP. There are more than a million feral camels in Australia, and they have the potential to double their population every ten years. They're descendants of camels imported into Australia from the mid-1800s onwards -- they came largely from the Indian subcontinent, but also from Yemen, Iraq and the Canary Islands. It's often argued that Alice Springs owes its existence to the camel and their handlers. The town was founded in the early 1870s as a repeater station for the Darwin-to-Adelaide Overland Telegraph Line - also built by men who depended on camels for supplies and equipment. Camels also brought the first piano in on the back of one during the 1880s. But in some Outback communities they're often seen as a pest -- they trample plants and destroy water pipes as they search for food and water. The Australian government has set aside $16m to "contain the problem" and one controversial proposal is to shoot the camels from helicopters or on foot. Naturally, animal welfare groups are opposed to a mass slaughter. Video: BBC clip of Jeremy Clarkson catching camels (or trying to). 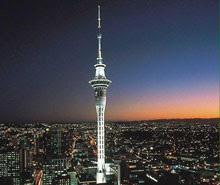 Auckland's crowning glory is the 328 metres (or 1,076 feet) tall Sky Tower. It's the tallest free-standing structure in the Southern Hemisphere, offering breathtaking views for up to 80 kilometres in every direction. And just to put that height into perspective, it's the same as standing 37 buses end to end. Built between 1994-1997, the Sky Tower hosts telecommunications and broadcasting services as well as being a hotspot for tourists. A member of the World Federation of Great Towers, the Sky Tower has three observation decks, restaurants and even bungy jumping on offer. It's also part of the SkyCity casino complex. Take a ride up the glass-fronted lifts to enter a world of fine dining at restaurants -- take your pick from Orbit Revolving Restaurant, The Observatory brasserie or just go for coffee at the highest altitude cafe in the Southern Hemisphere. During one Sky Tower Vertical Challenge race a contestant ran up over 1000 steps in only five minutes and 17 seconds. Adelaide, South Australia has a population of over 1.1 million, making it smaller than other Australian cities like Sydney , Melbourne, Brisbane or Perth -- but it sure punches above its weight as far being a travel destination. It's a vibrant city with a cosmopolitan outlook and a ring of parks providing plenty of greenery. And events. Oh boy does Adelaide have events. Sporting events in Adelaide include the Adelaide 500, known by its sponsored name, the Clipsal 500. It's a huge V8 Supercar race event -- attended by a massive 291400 spectators in 2008, the event also features concerts every night, air shows, and social events that bring in people from Adelaide, interstate and overseas. Next year’s Clipsal 500 V8 event in Adelaide will run from March 11-14. It's a great city for arts festivals too. During the 1970s the Adelaide Festival of Arts and Fringe Festival were established, and over the years sister events have emerged, including the Adelaide Cabaret Festival, Adelaide Film Festival, Adelaide Festival of Ideas, Adelaide Writers' Week and WOMADelaide, the WOMAD festival of international music and performance. 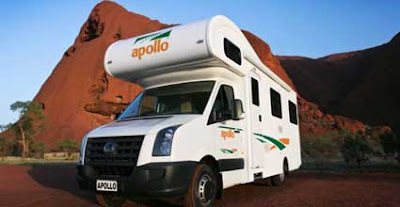 If you're looking for a good deal on Adelaide campervan hire go to http://adelaidecampervanhire.com.au. Here are some videos - a performance from Womadelaide and a song from Ben Folds. 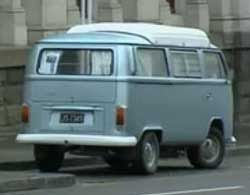 Remember, for Adelaide campervan hire go to http://adelaidecampervanhire.com.au. Heading for the ski fields surrounding Queenstown, in New Zealand's gorgeous Central Otago district? There's so much to see and do that it really is worth hiring a campervan -- if you're looking for a great deal on Queenstown campervan hire check out QueenstownCampervanHire.co.nz. Queenstown is an international resort town in New Zealand's South Island. Built around an inlet called Queenstown Bay on Lake Wakatipu, the town has spectacular views of nearby mountains. It's a centre for adventure tourism, skiing and snowboarding, jet boating, whitewater rafting, bungy jumping, mountain biking, tramping and fly fishing. People travel from all over New Zealand and many parts of the world to ski at the four main mountain skifields -- Cardrona Alpine Resort, Coronet Peak, The Remarkables and Treble Cone. Queenstown and the surrounding area contains many locations used in the Lord of the Rings film trilogy and other international feature films. The Central Otago region is also known for high quality food -- and the local wineries are outstanding. CampervanHireSaleFinder drives some great bargains! 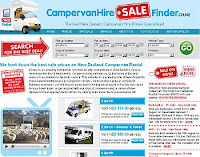 "We are excited about the launch of our site CampervanHireSaleFinder.co.nz. Great value for money was the overriding message we were getting from our customers, so we concentrated on sourcing as many of the best deals and specials as we could. We have also developed some innovative new features to further assist our customers in finding the best campervan deal, while keeping the search and reservations process as simple as possible. We'll continuously innovate the information and functionality of this website and would love any feedback from customers to how we can further improve our site." * Lowest Price Guarantee - we will conditionally beat any motorhome rental price by $25 New Zealand Dollars. Find Every Major New Zealand Motorhome Supplier under the sun - and several smaller local suppliers you wouldn't find elsewhere. You won't find a larger selection of New Zealand Motorhome Companies on one site. Not only that, but our bulk buying power gives you incredible discounts with these brands. Advanced Features: Gone are the days of having to wade through 100's of listings online. Filter your campervan search results in seconds with options with many useful options. Filter by price range, berths, people travelling, specifications, and age of vehicle. You can save the vehicles to a short list and compare them. Can can also book in a variety of currencies such NZD, AUD, CAD, EUR, USD or GBP. 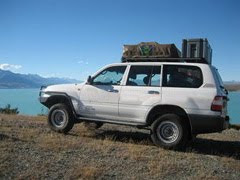 Superb Downloadable DVD: For every online booking, there is a great downloadable DVD - The Great Kiwi Campervan Roadtrip - which includes useful tips on places to visit for your New Zealand Holiday. Great Videos of Campervans and Motorhomes to help you decide which vehicle to book. Here's an excerpt from their blog: "Had a night in a motel/hotel before we picked up our home for the next 4 weeks - a Toyota Hiace Camper Van with fitted kitchen, toilet, bed, dinning area and shower!! In one day we drove 500K. All the way from Russell to Rotorua." Add to that mountain biking, sky-diving, a visit to the national museum Te Papa in Wellington and a ferry ride across Cook Strait -- and these guys were having a blast. Video: A blast of a different nature: Mr Dizzy jumps two motorhomes. A word of advice, don't camp in a speedway! After all, why do you need a hotel room for a night when you can rent one on wheels! Check out this Mercedes Benz 6-7 berth super cruise motorhome from Adventure Motorhomes. Huge windows, comfy deep foam seating with lap and diagonal safety approved seat belting, hot air climate central air conditioning, a gas oven, grill and cooker, fridge/freezer, instant gas hot water, full water pressure shower, CD player, 12 volt colour TV, an on-board central vacuum system, mobile cellular phone and a security safe for your valuables. If you're heading for the snow-capped mountains on a skiing holiday, the bathroom converts to drying room for ski gear and there's an under-floor security locker for seven sets of skis and boots. Central heating is supplied from the motor to the rear of the cruiser while travelling, and it's over to hot air blown gas central heating whilst free camping. Luxury, comfort, space -- and the best news is that this puppy can cruise easy all day, every day, up and down hills at 100 kph. Video: edited highlights of a road trip around New Zealand, shot from the front seat of a campervan. Great music too. When you take your campervan over to Rotorua, why not give Zorbing a go? If you don't know, zorbing is the practice rolling downhill in a sphere, generally made of transparent plastic sphere. Check out this fellow inside the Zorb! 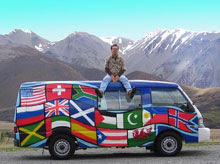 Once you get to New Zealand, you gotta see the place in with the freedom of a campervan. 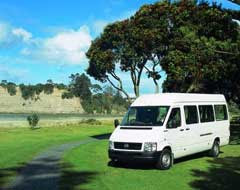 Check out some great New Zealand Campervan Hire Deals here! 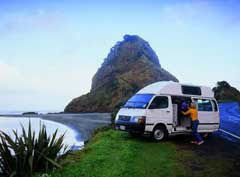 Why of all places, rent a motorhome in New Zealand? New Zealand is known as a campervaning nation, it has nationwide campervan parks as well as National parks that can accomodate motorhomes. Distances are shorter to travel, as New Zealand is smaller country than its neighbour across the ditch. You can confortable tour New Zealand in 3 weeks or less. This aside from the obvious fact that New Zealand is one of the most beautiful countries on earth! How many people can I take with me on my New Zealand Campervan Roadtrip? 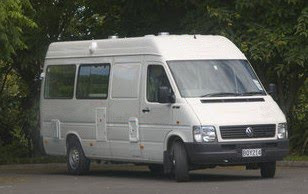 New Zealand Campervan Suppliers cater from small 2 berth to 6 berth vehicles. If you are travelling for an extended period, it is best to get a slightly larger vehicle, eg the next berth size up. 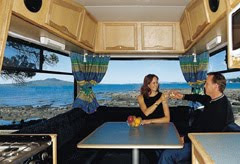 For example, if two people are travelling in a four berth motorhome, you can have your sleeping quarters and dining area permanently made up and you won't have to break it down when needed. Plus, you get extra storage area. This is especially important the longer you rent the vehicle. Are there any age limits to driving a motorhome in New Zealand? Again, check with the terms and conditions. For many companies the mininum driver's age is 25, but some companies cater to younger drivers. What are some of the hazards travelling around in New Zealand? If you are from the Americas, make sure you get acclimated to driving on left hand side of the road (Handy Tip: Driver should should always have the center line on their right hand side). Some roads are narrow, winding and only one lane - please exercise caution. Try to avoid driving at night and when exhausted. And of course, watch for sheep! Are there places I shouldn't take my Motorhome? You should check with the company's terms. Places they are not commonly allow are Ninety Mile Beach in Northland, parts of Coromandel Peninsula. On the South Island they are typically not allow on Skippers Road near Queenstown and on Ball Hut Road near Mt. Cook. Aside from driving on the left hand side, any other tips? Drive with courtesy. Use turnouts (slow vehicle lanes and 'bays') when you see that you have alot traffic behind you. Everyone behind will appreciate it! Don't forget that you are now a part of the motorhome community in New Zealand, so you can wave at passing cars and motorhomes. Also before heading off on your holiday, take a test drive with someone from the rental company to make sure that you are confortable driving the vehicle. Where do I park my Motorhome at night or when I am not travelling? I would recommend campgrounds or parks; check to see if they can facilitate the size of your vehicle beforehand. Free camping is available in some areas, but discouraged. When free camping, use common sense. Though New Zealand is a safe place, be mindful of your surroundings, if it feels unsafe, go to a campground. Campgrounds/Parks are a great place to meet fellow camper travellers as well. 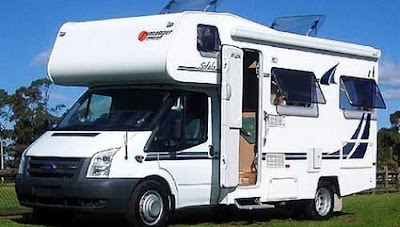 I've found a great Motorhome online - what should I do before booking it? Well first of all, I hoped you book it from CampervanHireNZ.co.nz! Secondly ensure that you check the terms and conditions and clarify any questions. Each company has unique policies that vary for various circumstances. Questions to ask when reviewing the terms: What happens if I get into an accident? What happens if the vehicle breaks down? What happens if return the vehicle earlier or later? What happens if my vehicle gets broken into? How I can save money on booking a Motorhome? 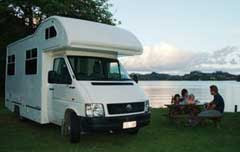 Book it on CheapMotorhomes.co.nz! Booking well in advance often ensures a lower rate. You pay for spontaneity. Check what the off season rates are and book then - these will vary per country. Booking prior to holidays (eg school holidays, public holidays like the 4th of July) can save you money. The longer you rent a campervan, the cheap the daily base rate gets - so check various periods to get discounts. Also choosing a campervan with less features will save a few dollars here and there. If you are looking to go to Australia then New Zealand (or vice versa) some companies offer great multiple hire discounts. 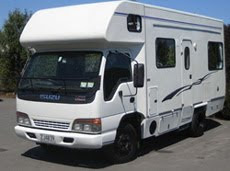 A quick word about cheapmotorhomes.co.nz - they compare multiple suppliers through New Zealand and offer various locations for picking up and dropping off campervans. When is the best time to go to New Zealand?November - March (summer) is a very popular time of the year but don’t be so quick to dismiss travelling new Zealand during winter; you will be greeted with spectacular views, snow capped mountains and ridiculously cheap rates! April would be my pick to tour New Zealand, the weather is sunny and warm and you’re not paying peak season rates. Ok, once I've booked my Campervan - where do I go? Should I start in Auckland, Wellington or Christchurch? 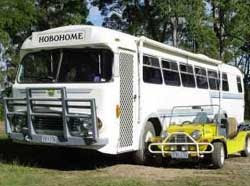 Gavin and Tracey Murray live and travel Australia in a large converted 1968 Bedford bus called Hobohome, which is also what they call their website (at least you can find them in one place online, at www.hobohome.com). It's a great scrapbook and a living document of their travels, with daily images uploaded so you can see where they are. Says Gavin, "In February of 2003 we decided that we had had enough of the ordinary - we wanted some adventure in our lives. So we decided to put our careers on hold, bought a 38 foot bus and took to the road with no preconceived ideas about where we would travel or for how long." The pair have been adventuring around Australia since then. "We call this the motorhome lifestyle," they say on their website, "some would just call it a nomadic lifestyle." 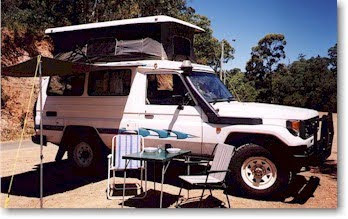 They've also posted quite a few articles on the practicalities of motorhoming through Australia, on anything from cooking to getting internet coverage -- check them out here. If you are looking for a great deal on motorhome (and promise not to take it to the above event) check out some of the RV Rental deals you can find in the USA. 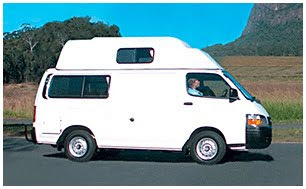 Click on the following links if you looking for Campervan Hire Australia or Campervan Hire New Zealand, but be sure to take out the Collision Damage options! Here's a great video of a "race" between a campervan and a train, heading from Blenheim to Kaikoura in New Zealand's South Island. 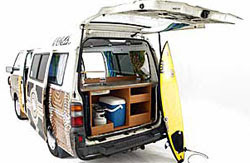 If you're looking for cheap rental on campervan hire in New Zealand go to http://campervanhirenz.co.nz/. Blenheim is the main town in the Marlborough region of New Zealand. It has a lovely sunny climate, which makes the small city an ideal wine growing region, plus it's close to the Marlborough Sounds where you can go fishing or sight-seeing. Travelling south via the Kaikoura coast, you'll encounter the main tourist activity of whale-watching. Check out more on Marlborough at destinationmarlborough.com. Video: From the description on Youtube "Pete and I on the Tranz Coastal Express race against Tom and Harry in Martha the Camper Van between Blenheim and Kaikoura"
Here's a fantastic video highlighting the Australian Outback's native wildlife -- yes, including the pub in Burketown. Starting off in Cairns, Queensland and winding up in Darwin, Northern Territory. On the video you'll see lots of crocodiles, wallabies, kangaroos, a monitor lizard, a feral pig, free-range cattle, road trains, termite mounds, Aborigine rock paintings, a dust devil, wildfires, and more! There's also a roadhouse in the bush, stray dogs in Doomadgee, a helicopter trip over Katherine Gorge, the waterfalls of Litchfield, the Yellow Waters in Kakadu, and the video ends with the jumping crocs of Adelaide River. If you're looking for campervan hire in Australia, go to http://campervanhireaustralia.com.au. From there you can find links to cheap motorhome rentals and early bird discount specials. And don't forget, for campervan hire in Australia, go to http://campervanhireaustralia.com.au. "Travelling overland sure does install a sense of distance. We all know Australia is a big place, this trip certainly helps one to comprehend just how big it is. Miles and miles of red dirt and bush, all seemingly indistinguishable. It may sound boring, in fact the sense of space is quite overwhelming, relaxing even. Every now and again we’d see a small dirt track turn off, with a makeshift letterbox, hammered into the ground. We’d look to the horizon to see the house to which it belonged… we’d see just more of the same on the horizon, the house too far to see." Here's a great video, made by an Australian guy -- his name's Glen -- travelling through Western Australia in a bus that's been converted to a motorhome. He also has a friend following in another smaller campervan. The video quality is exceptional -- they travel to Wongan Hills and Lake Ninan in Western Australia, stopping along the way for a glass of cask wine. He also demonstrates his portable clothes washing machine and talks about how much water they take on the journey. People die in the Outback every year, so you should never underestimate how much water to take on a long journey. If you're looking for a great deal on campervan hire in Australia, go to http://campervanhireaustralia.com.au . And remember to take plenty of water! Video: "Crikey. Where are we Dave?" Here's a handy list of things to do when touring Australia. I'm going to list the first 20, but this is from a much bigger list of '100 things to do in Australia', which can be found here at www.australiantraveller.com. And below, you'll find a really cool slideshow with fantastic photographs, taken by a couple who travelled through the Lucky Country. There are a lot of outdoor festivals in New Zealand, especially during the warmer months. And while they don't always cater on-site for campervans, there are usually other options nearby. Case in point -- Rhythm and Vines, held on New Year's Eve in Gisborne, North Island. The event itself doesn't have a campground, but they do work with BW Campgrounds who run campsites and basically host a week-long party. While BW Campgrounds caters mostly for tents, they do have some sites for campervans -- it pays to book well in advance though.